There's been a some questionable actions by drivers on Clarence Valley roads. GETTING behind the wheel and driving to get from A to B is an unavoidable aspect of modern life, and with vehicles come traffic, road rules and etiquette which can literally grind people's gears. 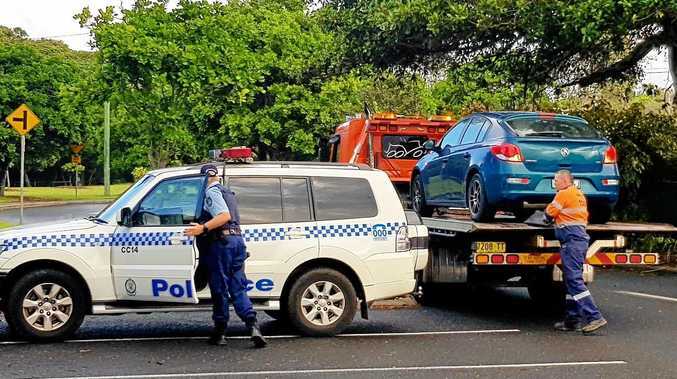 The Clarence Valley has a few hot-spots where traffic and the etiquette of road users are put in the spotlight, where some drivers are unable to keep their cool and obey the rules. This issue of road user etiquette begs the question: does the Clarence Valley have a problem with the attitude of its motorists? The morning and afternoon build-ups of traffic on the Grafton Bridge test the patience of many motorists, but some handle the frustration better than others. Just last week police busted more than 30 drivers illegally turning left from the right-hand lane of Villiers St on to Fitzroy St to try and beat the traffic. Another trick used by motorists, that while legal is a gripe of some drivers, is pulling a "swifty", which involves southbound vehicles approaching the roundabout from the right lane of Villiers St who indicate to turn right, and continue to turn another 180 degrees to join the bridge- bound Fitzroy St traffic, wiping several minutes off the trip in one swift move. The merging issue on both sides of the bridge has long been a bugbear for drivers, with some motorists unable or unwilling to follow correct merging protocol. The problem has even prompted Roads and Maritime Services to install signs on either side of the bridge to remind drivers on how to properly merge "like a zip". As nearly all motorists on the roads in the Clarence Valley know, larger vehicles need extra space when navigating the corners of the Grafton bridge (aka "The Bendy Bridge"). Earlier this year though it seemed one driver might have missed the memo and failed to yield to a b-double truck that had swung wide on the northern corner of the bridge, with a bizarre standoff between the two vehicles ensuing. A poll on The Daily Examiner website found readers had sided with the b-double truck in the traffic dilemma, while a transport industry spokesman said the law comes to the aid of the truck driver when negotiating the bends on the Grafton bridge. Last year Clarence Valley motorists were in a fluster when international tourists literally took to the streets in the search for the perfect photo of jacaranda trees in bloom during the Jacaranda Festival. This year the Jacaranda Festival asked drivers to be considerate of the guests of the festival, and opinions were split on social media as to who should have right of way on Grafton's streets during the festival. The village of Ulmarra has been the scene of number of incidents on the Pacific Highway which runs right through the middle of it. For years the residents had been fighting for changes, and with The Daily Examiner's Let's Not Wait campaign, there was finally change this year, and a fixed speed camera has been installed and will be operational this week. Unfortunately there has been a number of examples of bad behaviour from truckies through the area, which has drawn the attention of law enforcement. Iolanthe St, Spring St and the Pacific Hwy in South Grafton. Treelands Dr and Yamba Rd in Yamba. The jumbled mess of River St, Wharf St and Short St in Maclean. These are just some of the intersections on Clarence Valley roads that can raise frustration levels as traffic lines build. Get stuck at one of these intersections and drivers are bound to attempt some eyebrow-raising manoeuvres. 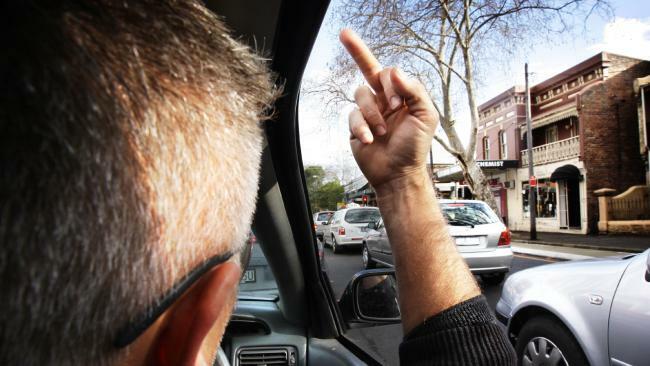 Do Clarence Valley drivers have an attitude problem? This poll ended on 24 November 2018.